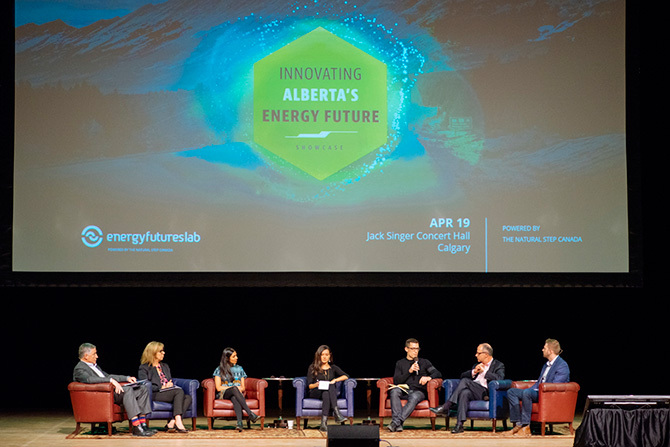 Over a dozen EFL fellows took to the stage and shared their vision to repurpose Alberta’s existing assets and retain its reputation as a global energy leader. From our numerous retired well sites, to our unemployed workforce, our diverse communities, even our carbon waste; the possibilities to reclaim, retrain, reunite, and reengineer left the audience undeniably energized and eager to engage. A recurring theme throughout all the presentations including the panel dialogue; active citizenship is critical to achieving our provincial, national, and global energy goals. All stakeholders need to be at the table, all sides of the debate need to engage. This showcase was just the beginning. Conventional oil & gas corporations, clean-tech, Finance, government, academia, NGO, Indigenous communities, and families, all have a role in this transition. The EFL extends several opportunities to get involved and be a part of Alberta’s energy future. Attend a community meeting, participate in a leadership bootcamp, or keep informed of our progress by signing up to our newsletter, follow us on twitter, facebook, or LinkedIn. Speaker slide presentations and video of the Showcase will be posted on our website soon. 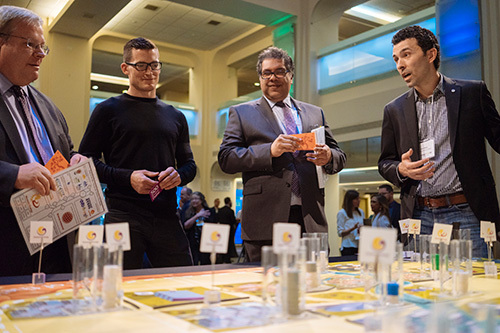 On behalf of The Natural Step Canada and our EFL team I’d like to thank Mayor Naheed Nenshi, Reg Crowshoe, Andrew Ference, Nicholas Parker, Melina Laboucan-Massimo, Arlene Strom, and Shivani Chotalia for sharing your afternoon with us. Your contributions and advocacy for healthier individuals, families, communities, economy, and the environment is making a meaningful difference. 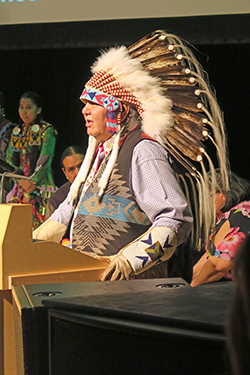 To the talented Alberta performers, thank you for uniting us through powerful song and dance. Your artistry was both beautiful and moving. We could not be more proud of the fellows who represented themselves, their organizations, and the lab so well: Matt Beck, Sandy Martin, Juli Rohl, Cor Koster, Alison Thompson, Megan Zimmerman, Apoorv Sinha, Melanie Popp, Lliam Hildebrand, Daniel Clark, Justin Smith, Jennifer Martin, Sean Collins, and Bruce Edgelow. This Showcase would not have been possible without the generous support of both Suncor and Capital Power, thank you for your commitment to working with us towards a better Energy future. And to our valued EFL funding partners; the Suncor Energy Foundation, Alberta Real Estate Foundation, Landmark Group of Builders, ATB Financial, Government of Alberta, Jarislowsky Foundation, and Shell, thank you for your continued investment to bring together Alberta thought leaders, innovators and influencers, to begin building an Alberta energy system that is fit for the future.